Posted May 21, 2018 by admin & filed under Car Repair. Of course, checking your A/C is the first thing on the list. You haven’t used it in a while, and if it’s broken or performing poorly, you’ll want to get it fixed right away. Diagnosing the unit is easy to do, but because the system is complex, repairs are generally best left to a technician or mechanic. Keeping your car cool is just as important as keeping you cool. Engines overheating is the number one cause of breakdowns during the summer months. Your entire coolant system should be both flushed and refilled every 24 months and the level, concentration, and condition of the coolant in the system should be checked periodically. If you are checking the coolant yourself, do not remove the radiator cap until the engine has completely cooled! Other routine checkups (belts, clamps, hoses) should be performed by a technician. Be sure to change your oil and oil filter regularly, as specified by your car’s owner’s manual (the frequency differs depending on the make and model of the vehicle you drive). If you do a significant amount of stop-and-go driving (such as long commutes in bad traffic) or go on short drives regularly, you may want to change it even more frequently (every 3,000 miles or so). Your engine contains several filters that each need replacing at different intervals (air, fuel, PVC). If you drive in dusty conditions outside of an urban area you will want to check and replace filters more often than recommended in your owner’s manual. Any driving issues, such as idling, stalling, or loss of performance, should be addressed and fixed by a mechanic. You may not think that the warmer, drier months can take a toll on your wiper blades but the hot air can dry and crack them, making them ineffective. Check them out monthly to prevent performance issues. You don’t want to find out they aren’t working while you’re driving in a flash rain storm. Inspect for any dirt residue or buildup. Clean with a moist cloth, as a dry cloth can leave scratches that will affect visibility. Replace any dim or burnt out bulbs. Every 5,000 miles or so you should have your tires rotated. This will ensure they wear down evenly, and that you will get the most efficient performance from them. Once a month, check the pressure on all tires (check before driving to get the most accurate reading). Examine the tires closely for tread wear. Look for worn spots, bald patches, radials poking through. Also check the sidewalls for nicks, cuts, or cupping. Be sure to also inspect your spare tire and your jack. If you feel any sort of softness or pulsing when you apply pressure to your brakes, get them checked out immediately. You also need to have them inspected as recommended in your manual. Oftentimes, minor problems can be fixed before they become major problems. Your car’s battery doesn’t necessarily have a season that affects its performance, but without it your car isn’t going anywhere, so it’s best to check it routinely. A mechanic will have the tools necessary to inspect the output of the battery, to ensure it is performing well, but most people can perform simple preliminary inspections simply by looking. Keep an eye out for any signs of corrosion or loss of fluid (if the battery caps are removable). Always wear rubber gloves and eye protection, and avoid contact with corrosion or battery acid. A quick routine inspection before the hot summer months can keep your car performing strong, regardless of the heat. 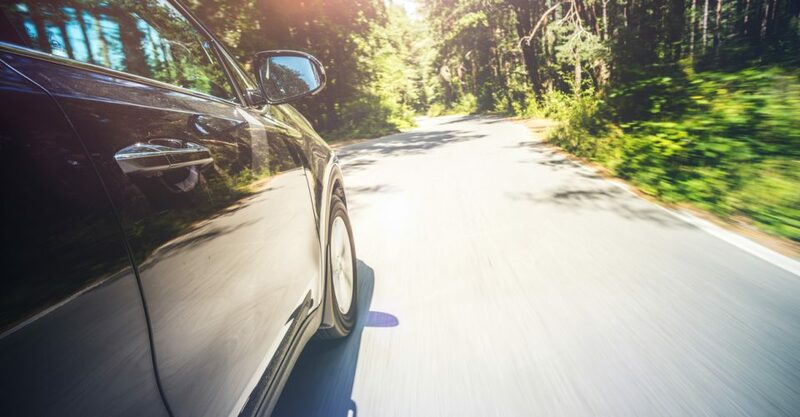 Be sure to give us a call at 616.796.9929 if you have any further questions about your vehicle’s health as we head towards summertime here in Michigan!